Throughout Donald Trump’s campaign and now his transition into the White House, the real estate mogul has surrounded himself with family. There are the obvious ones, of course: his wife Melania, his elder sons Eric and Don Jr., and his secret weapon, Ivanka. But you may have also noticed that Ivanka Trump’s husband, Jared Kushner, is a constant presence by the president-elect’s side. Jared Kushner and Ivanka Trump have been married since October 2009. And much like Donald Trump, Kushner is a New York real estate developer and CEO of a company started by his father. In 2007, at the age of just 26, Kushner purchased a Manhattan office tower, 666 Fifth Avenue, for what was then a record $1.8 billion. The Harvard-educated businessman also owns The New York Observer newspaper. And along with Ivanka, he’s became a trusted adviser in Trump’s campaign. In fact, when Trump came to the White House to meet with President Obama for the first time, footage quickly emerged of Jared Kushner walking around the White House grounds with Denis McDonough, the White House chief of staff. Kushner is also a key player on the Trump transition team. He was reportedly influential in Trump’s choice of VP. In October, sources confirmed to CBS News that Donald Trump initially chose New Jersey Governor Chris Christie for the job. However, just days before the Republican National Convention, he changed his mind. Part of that switch was undoubtedly due to Paul Manafort, Trump’s campaign manager at the time, who allegedly made a strong pitch for Indiana Governor Mike Pence instead and arranged for the two men to meet. However, another source with direct knowledge of the situation contends that it was Jared Kushner, Trump’s son-in-law and a key adviser, who made the final push to select Pence and oust Christie. Why? Well, as U.S. Attorney, Christie was responsible for sending Kushner’s father to prison in 2009 for witness tampering, illegal campaign donations and tax evasion. “It all goes back to his dad being prosecuted by Christie,” the source told CBS News. The elder Kushner spent 14 months behind bars. And while Jared Kushner and Christie publicly appeared to have put that behind them for the good of the Trump campaign, Kushner reportedly arranged for a plane to bring Pence to New York for the pivotal meeting that got him the job. “Pence showing up caught Trump off guard and pretty much boxed in the decision,” the source told CBS News. After that, Chris Christie assumed a much lower profile role in Trump’s campaign. And just recently, he was demoted on the transition team. In fact, the allies that Christie put on the team, like former Rep. Mike Rogers, were purged, too. Now, many people assume those decisions were made at Kushner’s urging. When Jared Kushner and Ivanka married in 2009 after about two years of dating — the merging of two prominent New York real estate families — she converted to Judaism for him. Their religion even become an unlikely plot line in Trump’s candidacy, when critics accused the president-elect and some of his backers of making anti-Semitic appeals. Kushner wrote an op-ed defending Trump after the candidate tweeted an image of a six-pointed star and piles of money to attack Hillary Clinton. Just two days before the election, the Anti-Defamation League slammed one of Trump’s campaign ads for what the civil rights group felt was anti-Semitic imagery. And those protests were renewed when Trump named former Breitbart exec Steve Bannon as chief strategist for his White House. 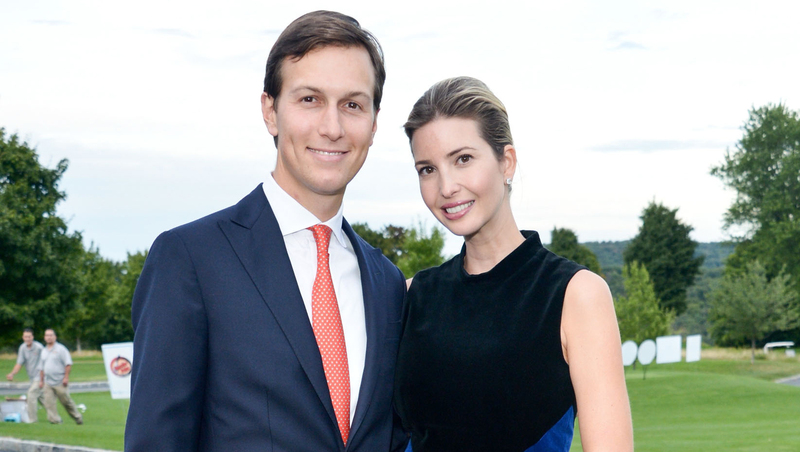 Ivanka and Jared Kushner now have a daughter and two sons together: Arabella Rose, Joseph Frederick and Theodore James (who was born in March 2016 in the midst of the presidential primary season).